Do you love mysteries? Did you read Nancy Drew or Hardy Boy novels as a kid? Is Sherlock Holmes your favorite detective of all time? Or do you identify more with the sharp mind of Hercule Poirot? 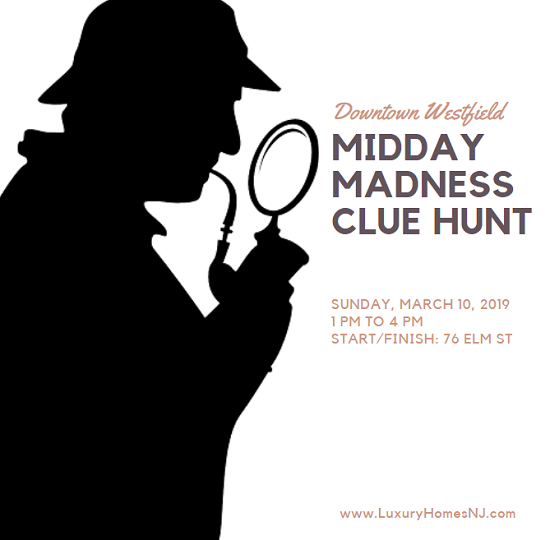 Put your sleuthing skills to the test at the Westfield Midday Madness Clue Hunt 2019 event. On Sunday, March 10th, Downtown Westfield Corp invites the public to join in on the Westfield Midday Madness Clue Hunt. 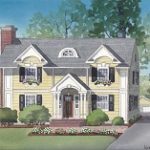 They encourage families and friends to form teams of up to 10 people. 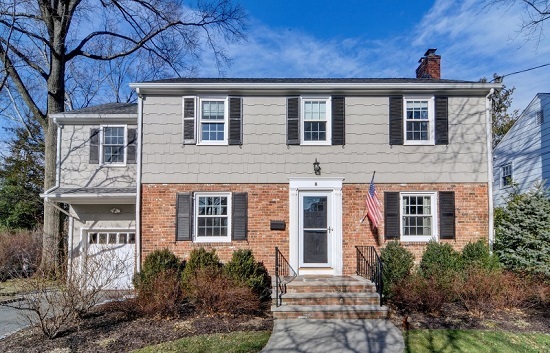 Receive a list of clues at 76 Elm St. in Downtown Westfield (across from Urban Outfitters at Elm and Broad). These clues lead you to various locations around the downtown area. Take a selfie with your group at each stop along the way. Once you solve the clues and visit each location on the list, head back to 76 Elm St. to show off your progress and possibly win some prizes. Once you put together your team for this family-friendly affair, visit the Midday Madness Clue Hunt website to register. You’ll need to assign a team captain. To participate, pay $10 per adult and $5 per child (ages 17 and under). Organizers will assign a specific color or pattern for each team to wear on the day of the event. This helps to identify other participants as well as enforces the idea of working together as a team to solve each clue. For an afternoon of fun with your friends and family, try something a little different. Work together to master the Westfield Midday Madness Clue Hunt. Sign your group up today.